As if arrested mid-flight, Flock evokes mass movement of birds, their aerial dance frozen in a sprawling pattern. From a distance, the play of light and shadow on a large wall creates an abstract pattern. 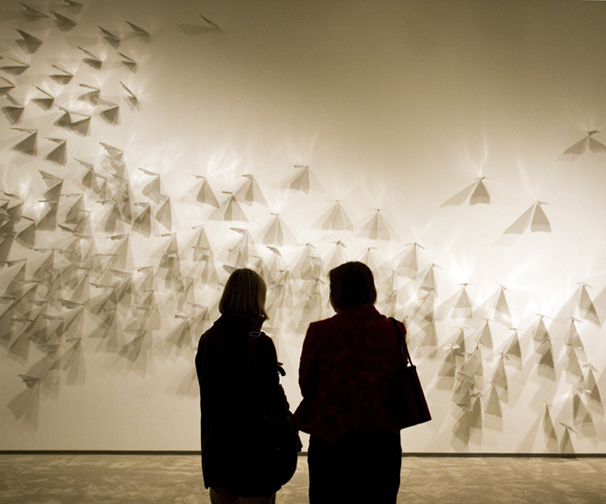 Moving closer, the work is revealed to be hundreds of individual aluminum airplanes stuck nose-first into the wall.